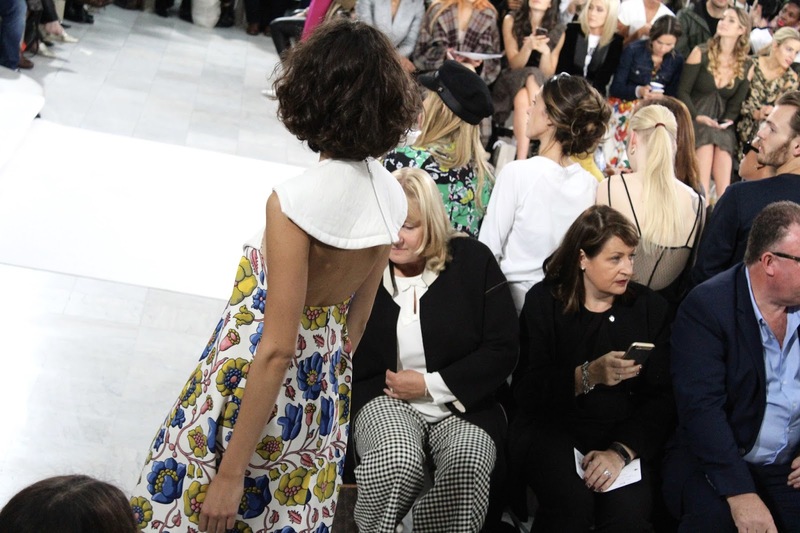 Paul Costelloe continued his flirtation with the sixties and seventies, conflating the two decades in his Spring 2018 show, hosted at the grand Palm Court at the Waldorf Hilton in London. 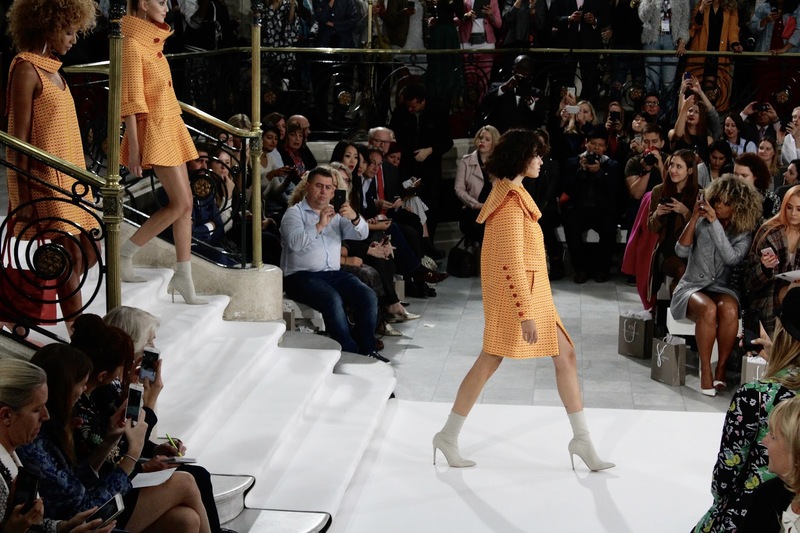 The Irish designer's exploration of the decades is fascinated with the colourful, playful edge—undoubtedly an optimistic response to the times. To a soundtrack including ‘Garde-moi la dernière danse’ by chanteuse Dalida and the poppy ‘Yes Sir, I Can Boogie’ by Spanish duo Baccara, the show unfolded. One was instantly greeted with a sea of bright spring colours. 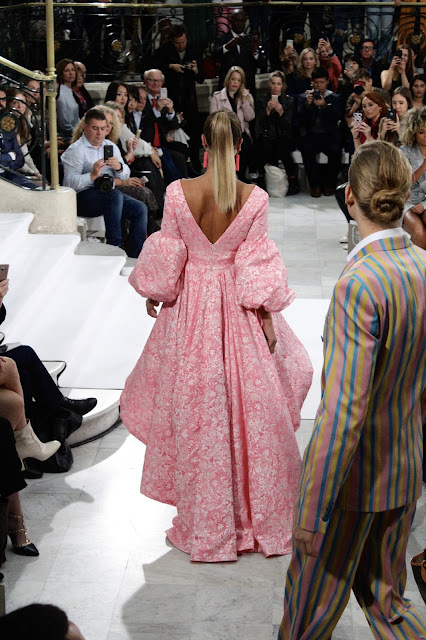 He introduced some new styles for spring: evening gowns were rendered with rise-and-fall hemlines and in vibrant shades of fuchsia and fresh, dark green. 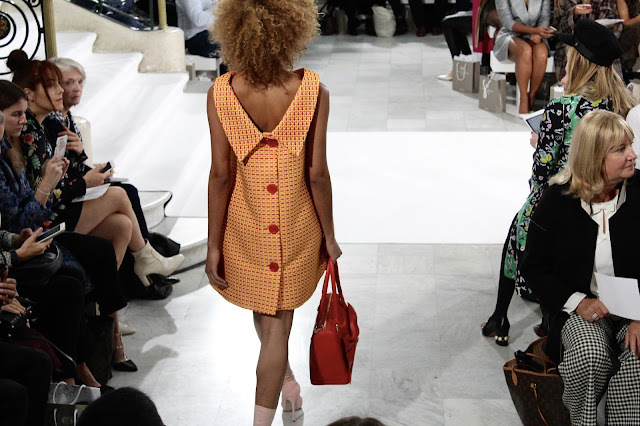 Baby doll and sack dresses signalled the reemergence of the latter half of the previous decade in fashion; one is unconvinced whether women will want to wear them. The bow ties on the back of gowns were a further dive into the past. There was a stronger presence of menswear in this collection and it did challenge stereotypical men's suiting—in lieu of black tie there were presented in a pleasant pastel palette. Stylistically, it was a rather simple affair. He isn't really one for gimmicks, the simplicity of a sack dress sitting beautifully on a woman or the fine cut of a blazer on a man spoke for itself. It was a stark contrast to other designers in London—specifically the emerging designers at Fashion East, who collectively overstyled their collections. However, one became hungry for more of a challenge halfway through. 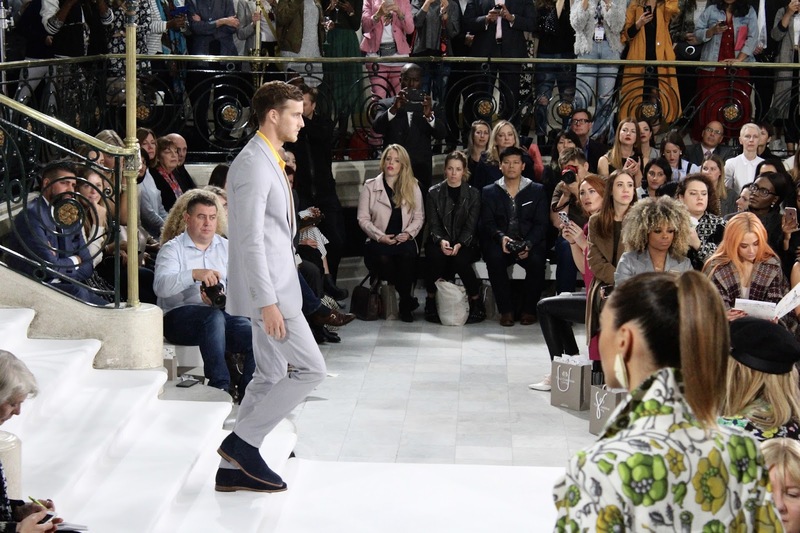 As the models, including Ireland's own Vogue Williams, threaded the catwalk I wasn't looking for something groundbreaking in thought, rather it was an opportunity to be delighted by Costelloe's fine art: occasion dressing. He isn't required to shatter the earth with explosive ideas; however, he is required to satisfy his woman, and her image is concerned with the prim and proper nature of her social scene. Weddings! Luncheons! Galas! 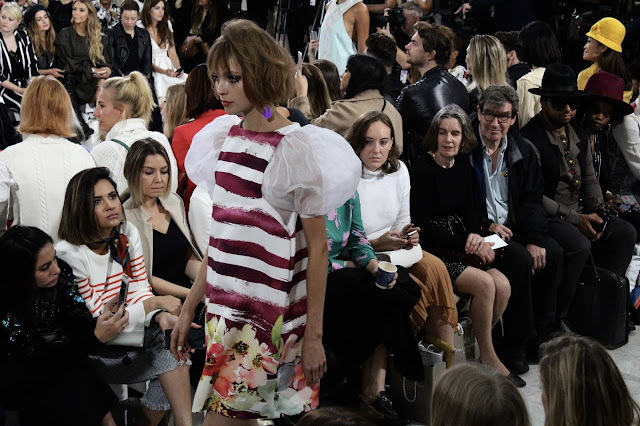 It's differs from Erdem, whose work echoes the perversities of high society, and Roksanda's architectural prowess; it's demure but still burning is a youthful fire inside. 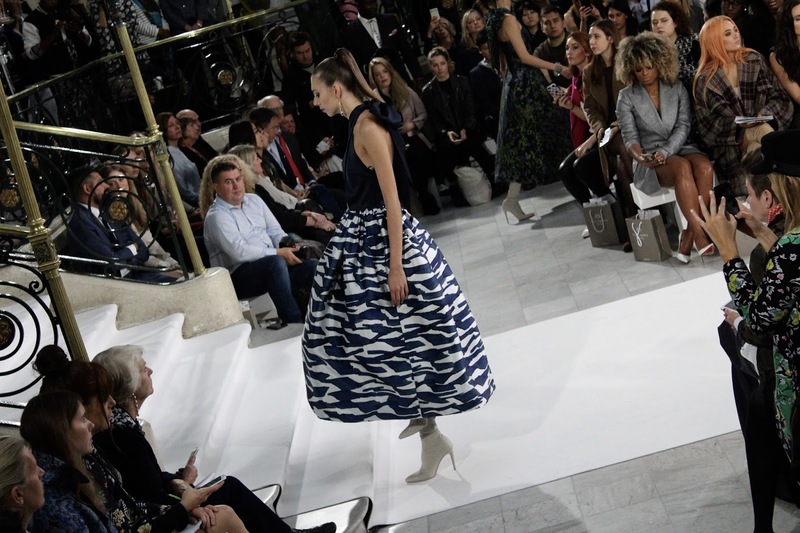 And while his dresses are catnip for the social elite one would like to see him migrate from casting teenagers in his shows and instead reflect his customer base, many of whom were in the crowd. Surely, they counted their blessings to have options aplenty. When the man of the hour took his final bow, one witnessed a rare heartwarming moment in fashion. He posed for photographers and before ducking backstage, he stood one last time to face rapturous applause. It's pleasant to see someone outwardly loving in their job.